Jomanda is a Leicestershire based company that has been designing quality soft toys for over 10 years. We’re delighted to have partnered with them to bring you a bunch of the cuddliest toys you could imagine. Introducing Sheep cute cuddly and one of our favourite farm animals. 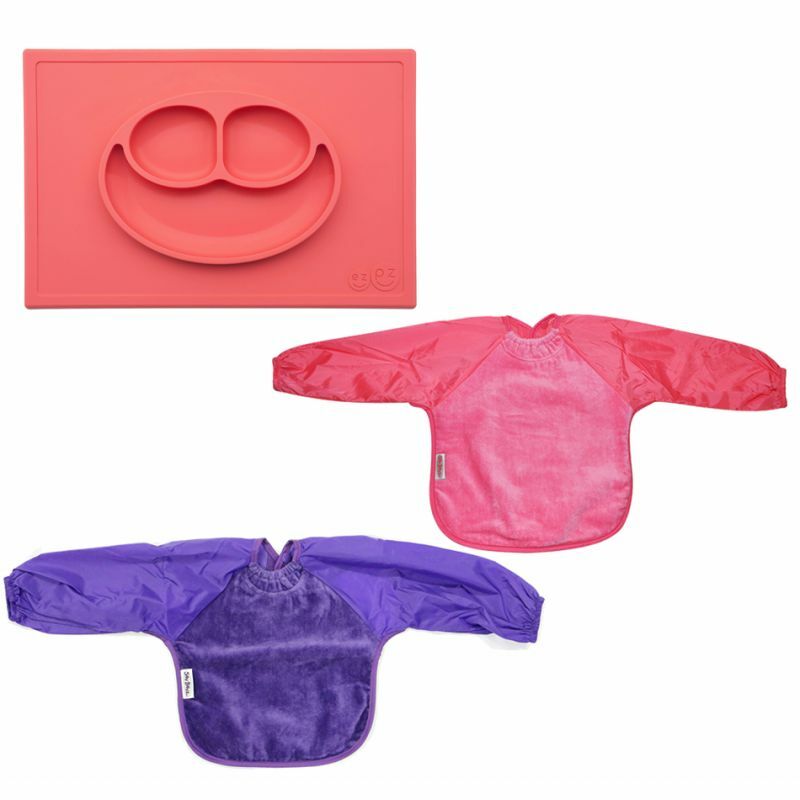 THIS PACKAGE INCLUDES: Silly Billyz 2pck Towel Long Sleeve Bib Ezpz Happy Mat Silly Billyz Towel Long Sleeve Bib Our Long Sleeve Bib is terrific for self-feeders! The water-resistant nylon sleeves provide extra protection from food wobbling off a spoon or fork. The open back allows babies and kids to stay cool and makes it easy to get on and off. Front is made from Snuggly velour cotton towelling with the unique snuggle neck guard which sits snug against your baby?s neck to stop dribbles and spills. Backing is made with a water-resistant nylon to keep clothing and kids clean and dry! Small: 6 months ? 2 years - dimensions: W28cm x L30cm Ezpz Happy Mat All in one placemat and divided plate suctions directly to smooth surfaces making it nearly impossible for tiny hands to tip over, will not fade, corrode or deteriorate, does not support growth of fungus, mould or bacteria, dishwasher, microwave and oven safe.